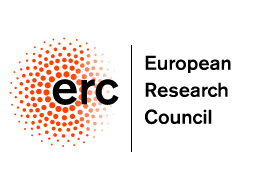 Supported by the European Research Council. Traditional semantics gives the meaning of expressions in terms of conditions on one kind of primitive (e.g. truth, assertion, belief). Bilateral approaches hold that the meaning of expressions is characterized in terms of conditions on two, usually opposite primitives (e.g. truth and falsity, assertion and rejection, belief and disbelief). Recent years have witnessed the independent development of a variety of bilateral approaches to analyze phenomena such as negation, epistemic modality and counterfactuals, from both a proof-theoretic and a model-theoretic perspective. The workshop will bring together researchers from either perspective in order to provide a venue for the systematic exploration of commonalities, differences and potential interactions between such approaches. Are there natural points of contact between the various bilateral approaches? Can a unified bilateral approach be developed? What advantages, if any, does it have over the standard unilateral approach? What is the remit of bilateral semantics in formal semantics and/or philosophy of language? What is the linguistic, cognitive, or metaphysical status of meanings given in terms of bilateral semantics? Are there further areas of application for bilateral approaches? Should the bilateral approach be further expanded into a multilateral approach? We invite submissions from both a proof-theoretic and model-theoretical perspective, and especially welcome contributions addressing possible interactions between the two perspectives. One presentation slot will be reserved for early career researchers (PhD students and researchers who obtained their PhD no more than 5 years before the submission deadline). Abstracts should be no longer than two A4 pages (references included) and describe work suitable for a 40 minute presentation. The abstract should be anonymized and suitable for anonymous review. Please include a separate detachable cover sheet including name, title, institution and contact details. Researchers wishing to be considered for the early-career slot should also indicate the date of PhD award. Submissions should be either in .doc or .pdf format and should be emailed to inferentialexpressivism@gmail.com The deadline for submission is 15 February 2019. We will cover accommodation for all accepted speakers. Travel expenses will be covered fully or in part, depending on funding available. Full funding will be provided for the early-career speaker. Deadline for submission: 15 February 2019. Expected notification of acceptance: 31 March 2019.